Those who could not afford the NVIDIA GeForce 8800 GTS 512MB or the NVIDIA GeForce 8800 GT have been waiting for a more affordable model in the form of the GeForce 9600 GT. 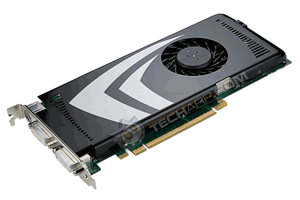 The first graphics card in the NVIDIA GeForce 9 series, the GeForce 9600 GT promises to offer performance close to that of the GeForce 8800 GT at a more affordable price point. To do that, NVIDIA came up with a smaller GPU, the G94. With 33% fewer transistors and half the stream processors of the G92 GPU used in the GeForce 8800 GTS 512MB and the GeForce 8800 GT, the new G94 GPU is smaller and cheaper to fabricate. This translates into a lower cost per card. Like the G92, the G94 GPU is based on the NVIDIA G80 GPU which not only powered the older GeForce 8800 GTS 640MB and 320MB cards, but also the GeForce 8800 GTX. As such, the G94 features the same massively-parallel unified architecture, as well as support for DirectX 10. The G94, however, has been further improved by adding the VP2 video processor and support for PCI Express 2.0. It was also fabricated using a 65 nm process technology, resulting in a smaller, cooler chip. If you have not already read about the technology behind the G80 GPU, do take a look at our NVIDIA GeForce 8800 GTX/GTS Tech Report. It will give you a good grounding on the new NVIDIA unified architecture and the G80 GPU, which is the basis of the new G92 GPU. For more details on the actual architecture of the G92 GPU, do take a look at our NVIDIA GeForce 8800 GT Tech Report. The G94 GPU only differs in the number of stream processors (64 vs. 128) and the resulting number of transistors. To find out just how fast the new NVIDIA GeForce 9600 GT is, read our Comprehensive Review!